Summertime Custom Competition - Enter by July! The Summertime Competition is here! Time to get those brains churning to earn the coveted spot in the middle of my signature. Here's the miniature this time around, from the latest Pathfinder release. The figure is the Tanuki from the Jungle of Despair Pathfinder set. Entries must be in by July 1, as the poll will go up sometime on the 2nd. Last edited by Dr.Goomonkey; July 2nd, 2018 at 12:59 PM. Re: Summertime Custom Competition - Enter by July! It's great to see that the next contest is live! We also have quite a bit more time, if I'm not mistaken. Hopefully I'll figure something out pretty soon so that I can actually run some tests before entering. Ooooh I'm going to have to get in on this one. What is the Theme of this competition. Is it to use bear miniature's into a Ku Fu Panda or something. I think you can make it whatever you want. It does have a Kung Fu Panda vibe, but he's a little more like a raccoon than a panda. Just google "Tanuki Jungle of Despair" and you'll find more pictures. He's a medium figure (probably medium 4). Thanks, I did a search for Tanuki on Kinseth Auggies site. So it is one miniature this time, so it won't be like the Sprintime Competion. They've varied in the past. Sometimes, the prompt is a specific mini, and other times, it's a broader theme (like in the case of the Ents from last time). I'd imagine that there aren't many Tanuki miniatures out there (at least, I've never seen one before), so that's probably also had something to do with it this time around. 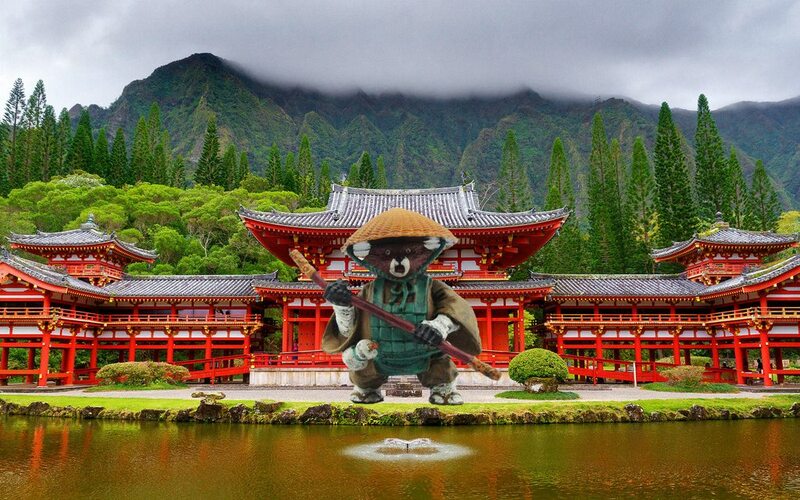 I thought of the Tanuki suit too @lefton4ya . Would it be possible to have an approximate size/height? ~Lazy Orang, who's intrigued by this prompt and should come up with something. Always happy to delve into worldwide folklore and mythology! That's what I'm guessing, but I'd like to have as close as possible to a correct height for the purposes of the card (plus it wouldn't shock me entirely if it turned out to be more small, Dwarf height).